Every company reaches a size where tribal knowledge can no longer be recited in dark corners of the office. At a certain point, process becomes imperative to growth. These are the words of Sam Trachtenberg, Vice President of Operations at AdRoll. “If you want to be efficient once you reach a certain size, you have to standardize,” he said. AdRoll, the global leader in retargeting, a type of digital advertising, was named one of the top three fastest-growing companies by Inc. Magazine in 2013. At the time, they’d reached their 10,000 customer milestone. By 2016, they surpassed 25,000 customers. 2013 was also the year that Trachtenberg joined, and he hit the ground running. AdRoll’s exponential growth was exciting, but he knew that periods of high growth tend to require quick, agile decision-making and that he’d soon need to revisit the cadre of tools used by each of the four teams he’s responsible for: IT, Revenue Operations, Business Operations and Training, and International Operations. Once he dug in, Trachtenberg discovered that seven teams were using Zendesk Support, but in different ways and for different reasons. Support was initially chosen by AdRoll’s Customer Delight team, who provide customer support, as their customer service software. Soon after, the Customer Success team, a large group of sales account managers, also adopted Support to manage their customer relationships. In fact, over the years, internal use of Zendesk Support had spread like wildfire—everyone from Accounts Receivable to Creative Design was using Support because it could be easily configured and customized to meet each team’s needs. But like wildfire, new instances were spun up without any governance. “From an Operations standpoint, I had to ask, ‘Why do we have seven instances? Why is there no standardization?’” Trachtenberg recalled. 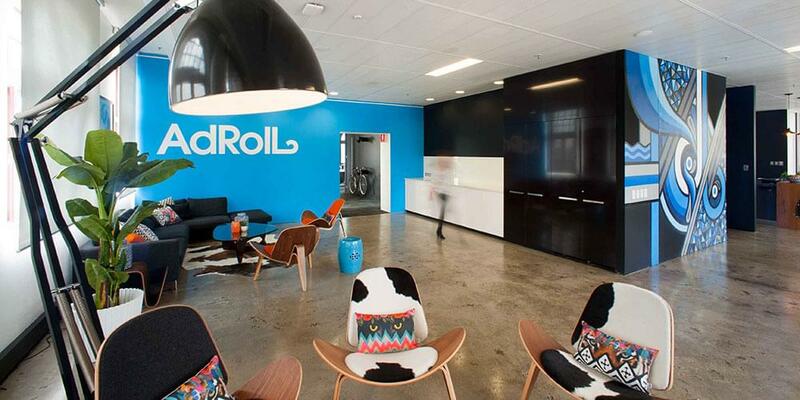 “We already had a great relationship with Zendesk,” he explained, “but we had to be smart about our business needs.” In early 2015, AdRoll began a process to re-evaluate their support tools and weighed Zendesk Support against other options. Their research soon revealed that everyone preferred Zendesk Guide over any other self-service product and that users loved the beautifully simple design of Zendesk’s products. The flexibility of Zendesk Support’s API was important for AdRoll to deliver the types of granular data they can now report on. “At the end of the day, our power users said, ‘I like using Zendesk Support better.’ And that’s really what matters—who’s using the tool, and how they want to use it,” Trachtenberg said. That wasn’t all, though. Trachtenberg and Jacob Bockelmann, Senior Business Operations Manager, had an inspired idea about how they wanted to use Support going forward. Their first priority was to unify the customer experience into a single, standardized instance of Support, but then they wanted take things a step further—to use Zendesk Support to measure customer lifetime value. What followed was an extensive, 9-month overhaul of AdRoll’s support infrastructure. AdRoll wanted to think through the big picture, about all the ways customers interacted with the Customer Delight and Customer Success teams, as well as with the rest of the company. Too many teams were flying blind when it came to knowing what else was happening with any given customer. They began by interviewing functional team leads and mapping out process flows in Zendesk Support that would meet each team’s particular needs. The Customer Success team, for example, required customizations that would make each interaction high-touch, more like personal email than a traditional ticket. They also planned to extend use of Support to more teams and wanted to account for expansion. Today, nearly the entire employee base at AdRoll now uses Support in some capacity. While not every team interacts directly with customers, it’s often the case that tickets are submitted on behalf of customers internally, between teams. Trachtenberg and Bockelmann also made significant headway on their goal to capture and measure customer lifetime value. They used the Zendesk Support API and developer platform to build a custom Salesforce integration that links tickets at the opportunity level, and a proprietary “Pitch app” that allows account managers to log all attempts at upselling and cross-selling. The app updates every ticket with the latest pitch statuses and notes, all timestamped, so that sales, support, and customer activity are all in one, highly visible place. The flexibility of Zendesk’s API was important for AdRoll to deliver the types of granular data they can now report on. Before, account managers were pitching customers over email or the phone, oftentimes after long threads of interaction, and were only sometimes logging their attempts in Salesforce. Moreover, these sales wins and losses weren’t tied to what was happening in customer support. Trachtenberg wanted to better measure the time his teams were spending with customers, to capture the Customer Delight team’s efforts to upsell or cross-sell, and to ensure that teams weren’t pitching the same things back-to-back or after a customer had already declined. AdRoll has been able to create a highly customized instance of Zendesk Support that perfectly fits their business. Their processes are now much simpler but yielding a lot more data. Better insight into performance across teams has enabled leadership at AdRoll to make better strategic and operational decisions, and to measure customer retention by looking at a combination of factors including average revenue per account, operating expenses, customer satisfaction, and NPS scores.